KDT2290 Features: -Pulls dented sheet metal back into place. 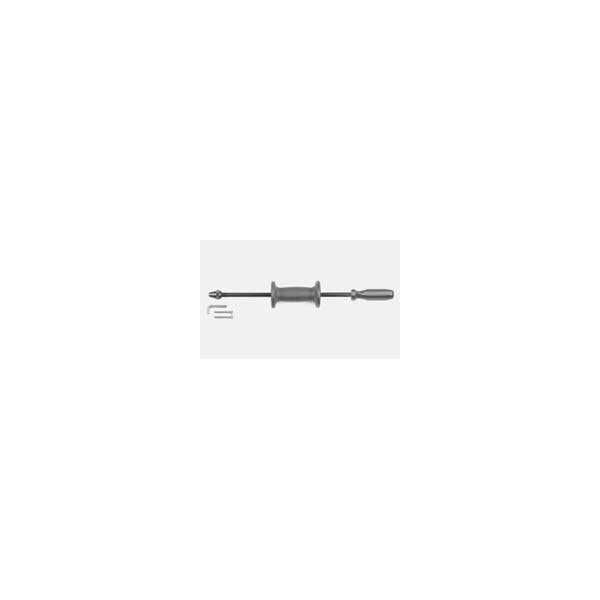 -Slide hammer shaft has a 1/2 – 13 UNC thread. -Body Dent Remover. Product Type: -Pullers. Use: -Dent Repair. Quantity: -Single. Generic Dimensions: -13″ long shaft enables high pulling force. 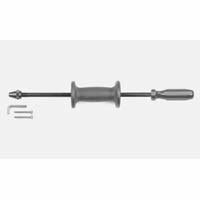 -Handle length: 3.75″To use, drill a hole in the deepest part of the dent, insert the hook or self-threading screw tip and tap lightly with the 2-1/2-lb slide hammer to remove the dent.Replacement part: 2290-70 Hook and Screw PackageReplacement part: 2290-76 Nose Nut. Dimensions: Overall Height – Top to Bottom: -4 Inches. Overall Width – Side to Side: -8 Inches. Overall Depth – Front to Back: -9 Inches. Overall Product Weight: -3.58 Pounds.